For years (really), I've been getting this attached screenshot) message when I try to create a restore point (Windows 7). I have PLENTY of space. Because of this error, I haven't been able to make a restore point for years. 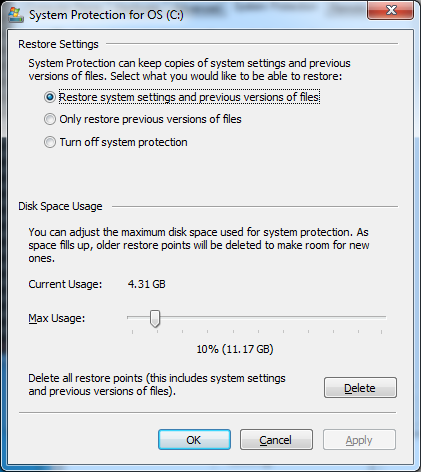 I've tried deleting all old restore points (there were 2 from 2011...exactly), and have ensured that Windows Backup and Volume Shadow Copy are turned on (Started in Processes/Services) and in Automatic. Even did a restart on those 2 services. Still no luck. I feel like I've tried a few other things from all my googling, but still getting that error and can't make a restore point. Thanks for helping me out. None of my independent research (hours every few months) is getting me anywhere. Thanks. PS I've already tried the few items on 2 other articles including "System Restore is not creating restore points" article, thanks. I think the person who ends up having the actual solution (not just identify the problem) will be a true genius. How much space is allocated to System Protection? Allow it at least 3gb to 4gb if not more. Not sure if when you say, you 'have plenty of space', it's in the right place. While you might have plenty of space in the C drive, I'm pretty sure the restore points are placed in the D drive, and not the primary partition. 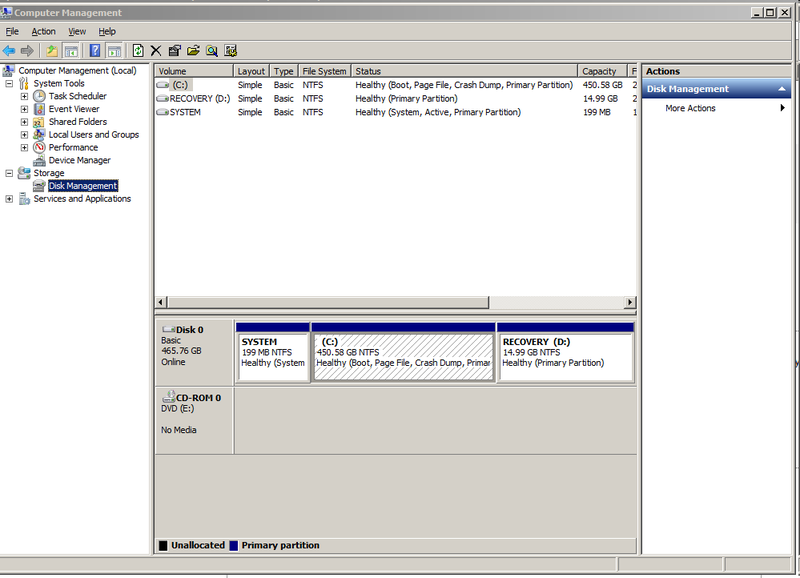 You need to take a look at how your drive is partitioned. Thanks EV. Honestly, I don't think it matters. Bootcamp is just a simple idea of partitioning some of Mac's hard drive to IOS + Windows. That's all. People complicate it unnecessarily. I had had successful system restore points for years. For some reason, though, related to that error I gave, I can't restore. Searching all over the web, many people have the same error as me, unrelated to Bootcamp. Have you tried increasing the system page file size and/or changing the page file directory or drive? May be a long shot but worth a go. Not the answer you're looking for? Browse other questions tagged system-restore windows-7-backup or ask your own question. Why can't I create a system restore point on Windows 10? Why are Custom Restore Point Descriptions Inconsistent?